The snow is now finally melting and underneath the grey slush are sprigs of grass, and plants trying to live. I’m looking forward to Easter, making eggs, and having a sudden influx of lamb! mmm I can smell it roasting already. I had a look back through my pictures of Easter last year, which was spent in near paradise. Kiwi and I had a few weeks off so we visited New Zealand, to see family and friends and explore some more of this beautiful land. 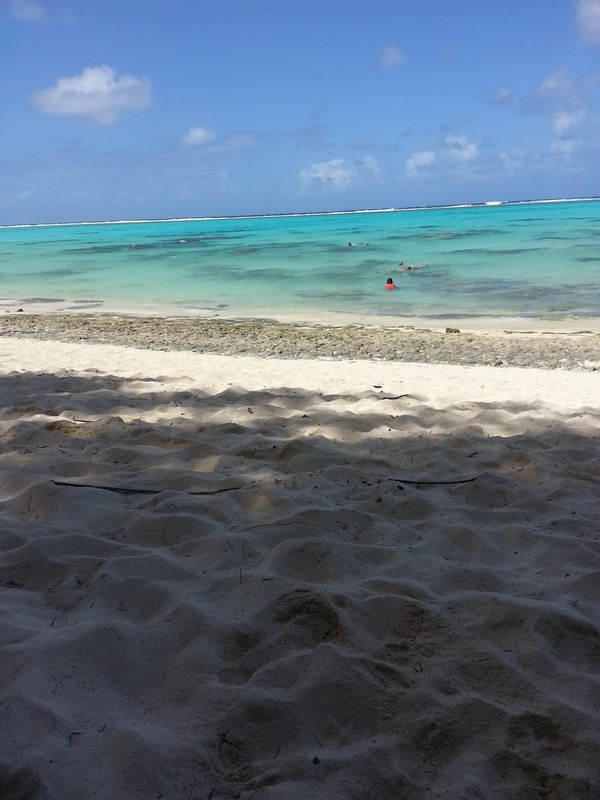 We also spent a week in the Pacific isles of Rarotonga. 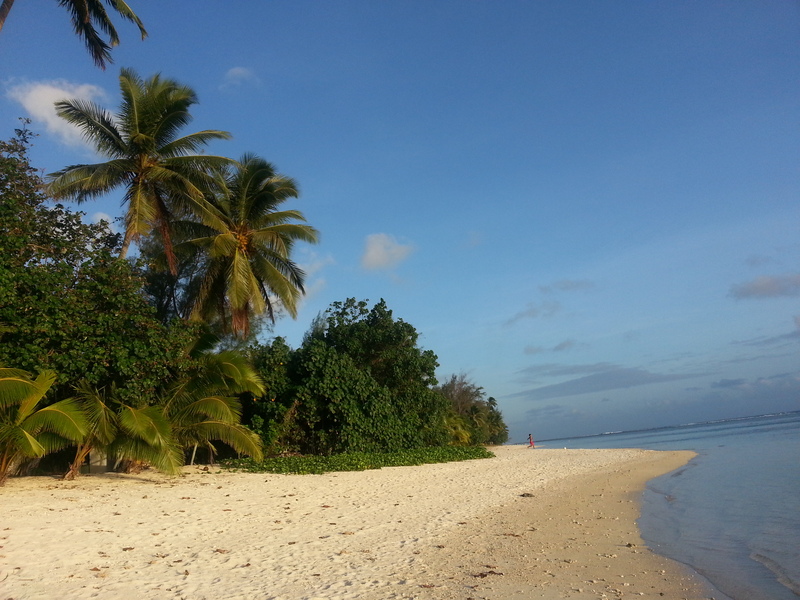 Rarotonga is a tiny island – we cycled around it in a few hours, its part of the cook islands, which are currently dealing with a tropical storm. The lifestyle is very relaxed and tourism makes up a substantial part of the economy. The beaches are a stunning golden sand with the turquoise sea surrounding it in a lagoon and reef – see for yourself in the pictures below! We arrived slightly spaced out after 40+ hours of flying. The last leg of the journey consisted of a rickety plane over thousands of miles of ocean in the middle of the night, landing in a field with a strip of tarmac and shuffling through the airport – which was little more than two rooms. Stepping off the plane and being hit with a wave of heat reminds me of holidays as a child. The landscape was dotted with palm trees, and a large volcano in the middle of the island – which we climbed and walked from the west to east of the island. 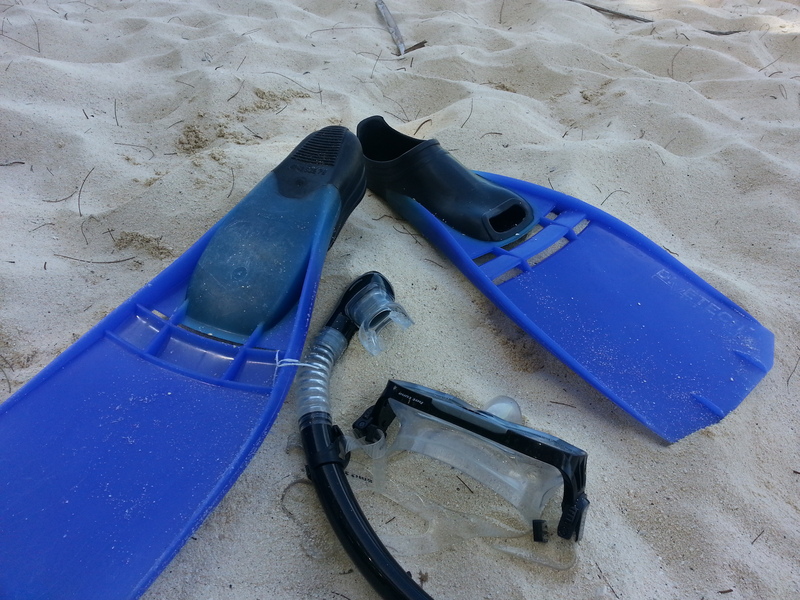 Most of our days were spent exploring and lying on the beach, with hours of snorkelling. It was heavenly, the only ‘stressful’ moment was when we purchased an ice cream… now the south pacific like to do ‘big’ ice creams. Normally a scope on a cone is a reasonable amount, approx 68grams! in fact, I randomly know this as in my student days I used to work in Thorntons, where serving ice cream in the summer was horrendous! However on Rarotonga, the ice cream was approximately two thirds of a pot, balanced precariously on a cone. Obviously in one sense this is amazing! Until you step outside, where the constant 30+ heat hits you and your ice cream rapidly starts melting. I have never had to try and eat an ice cream so quickly, it was like I’d suddenly entered some kind of crazy speed eating competition, and was losing badly. 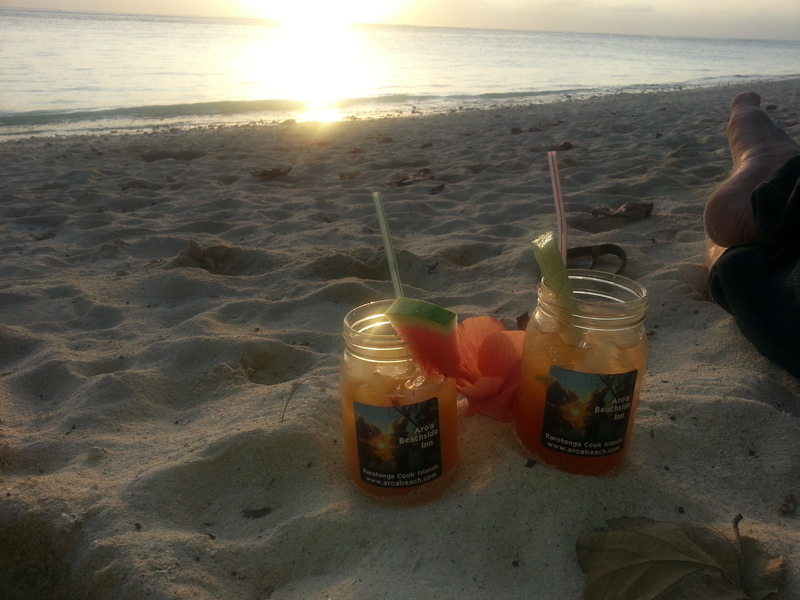 The ice melt challenge aside we had a fantastic time relaxing and having cocktails in jam jars whilst watching the sun set and listening to Ukulele. The beach side bars were like stepping onto a random film set. Looking back at pictures was like re-visiting al over again. I cant wait to visit some of the other islands one day!